May 5, 2015 was a day to remember. In retrospect, the day marked the beginning of a new era. It didn’t take much time for Russell Chau and Inti Salinas, two former Concordia University students, to realize they were sitting on a gold mine. The flame that they were about to rekindle would unite an entire community. 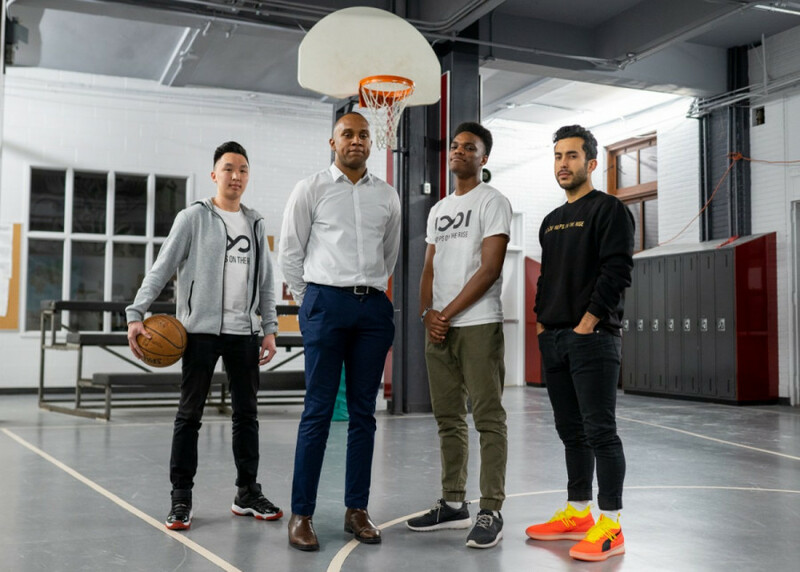 That Tuesday, in a friend’s basement, browsing the internet to register their domain name, Chau and Salinas rejuvenated Montreal basketball with the birth of a new sports media company: Hoops on the Rise. At Dawson College, not only are there 11,000 students in the heart of the vibrant downtown Montreal, but these students are also more likely to win the lottery than to bump into the same face twice in a semester. As the largest CEGEP in the city, the same is hard to say for the lives of the school’s student athletes—the matching tracksuits, the excitement before game day, the laughs and celebrations, the pride and joy, the grueling yet rewarding practices—who study together, but also share a common love for the game. In 2012, at this point in their lives, Chau and Salinas both had basketball dreams. Though they each played on different varsity teams at Dawson, they still knew of each other. Fast forward a couple of years later, and the tandem crossed paths once more at Concordia University, where Chau approached Salinas with a brilliant idea. 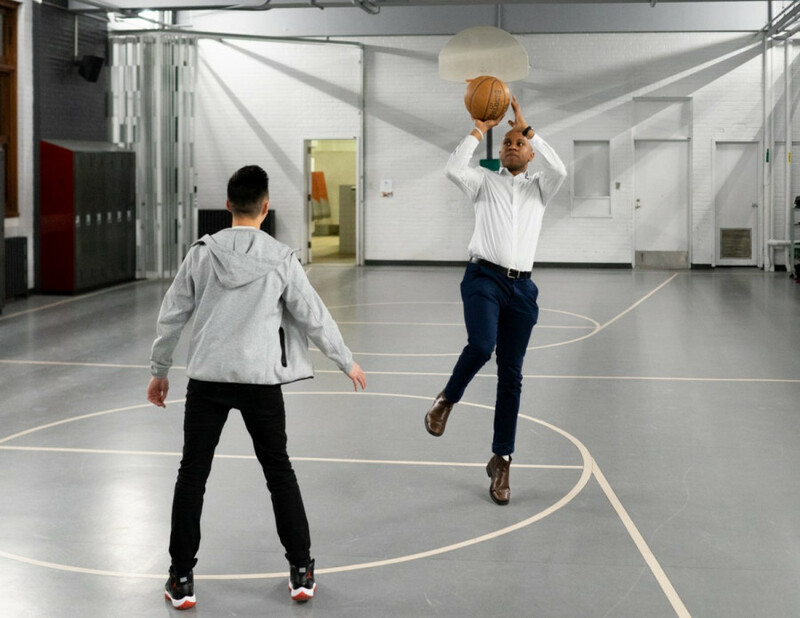 Still with the same passion for the game, the duo embarked on a journey: Building a local company to empower young athletes ages between 12 and 25 through basketball. With over 6000 followers on Instagram, Hoops on the Rise produces weekly podcasts, short clips, game recaps, highlights, live footage of games, and also announces highly recruited player commitments. Specializing in high school, CEGEP and university basketball, Hoops on the Rise is a multimedia sports company that strives to expose Montreal’s talent while creating a platform for youth to grow and be discovered. Born in Tucson, Arizona, Salinas moved to Montreal at the end of 2009 looking to further his education while playing basketball. Double majoring in psychology and philosophy at Concordia, he played three years with the Maroon and Gold before dedicating himself to the company. Now a mentor, podcast host, and assistant coach with Collège Jean-de-Brébeuf AAA basketball, Salinas works on the marketing, promotion, and content of the multimedia company but knows that expansion requires teamwork. Founder and videographer Russell Chau believes Hoops on the Rise has come a long way since 2015. The 26-year-old finance student at Concordia’s John Molson School of Business mixes his passion for photography with the video content covered during games to give viewers the ultimate fan experience. Salinas already had his foot in the door with everything pertaining to Montreal basketball thanks to his playing days at Dawson and Concordia along with his connections in the community. However, Chau made it clear the struggle is not who or what to cover, but how to cover it. Chau is referring to the members of the team keeping their dream alive. Podcast co-host and writer Karim Fall provides timely recaps and updates for games. Ralph Lauren Dizon helps with video content, and behind the scenes manager Jonathan Mirambeau uses his knowledge from Haute Études Commerciales Montréal to handle human resources responsibilities. 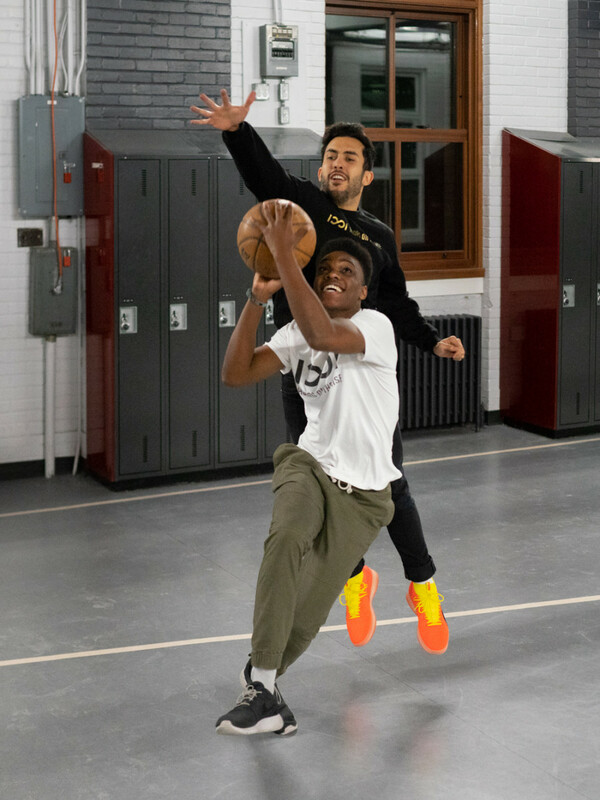 Despite experiencing early and well earned success, Hoops on the Rise’s financial difficulties as a young start-up is an obstacle Shafique Bakush understands all too well. In 2007—before Hoops on the Rise and the digital age—there was Keehs Productions. The 29-year-old shone light on an exciting time for Montreal basketball. Keehs Productions brought unprecedented exposure to the basketball community, with its first video of a rivalry game between Vanier and Dawson hitting over 10,000 views on YouTube. A decade ago, the idea of viral sensations with a simple right click on the share button was inconceivable. Building an audience took time—before instant gratification—and Bakush applauded Hoops on the Rise for seizing the moment while using social media to create buzz. Currently employed as a video editor and camera operator for the Montreal Canadiens, the Keehs Productions founder’s trademark logo and intro sound monopolized Montreal basketball for four years. His departure from the game led to a brief stint in 2014 with “All Star Mixtapes,” but the void in the market remained, leaving a hole in the hearts of fans. His hands full, a sudden yet necessary decision needed to be made, explained Bakush. Though he loved Keehs Productions, the opportunity to represent a professional sports franchise—a goal of his—was a blessing as he expressed his support for Hoops on the Rise. “Finally somebody is coming out here giving exposure to Quebec basketball. It’s amazing to watch the new generation take it to new levels. They’re tech savvy and I really respect their marketing,” he said. Among the hurdles to overcome, Bakush outlines authenticity, hard work, creativity, a good business sense and, most importantly, finances. That last challenge, for Salinas, is the dagger. “Obviously we would like to do everything for free but we gotta make a living off this,” said Salinas. He also thinks collaboration from the Réseau du sport étudiant du Québec would benefit both parties in the long run. Nonetheless, with their furthest commute so far to Philadelphia, PA, Hoops on the Rise looks to build on the momentum of the recent surge of Canadian basketball players competing not only in the NBA but also in the NCAA. One example is Luguentz Dort from Montreal-Nord. Covered by Hoops on the Rise and a projected NBA prospect, the 19-year-old is crushing expectations in just his first year at Arizona State University. “The good thing is [that] Hoops on the Rise is organized and they know exactly what they’re doing,” said Dort after his commitment video went viral garnering over 33,000 views on Twitter. All in all, the warm feeling of recognition from Bakush, fans, and the basketball community is a big win for the team. Despite the road ahead being steep and bumpy, Chau explained that he feels nothing but love at this point. Hoops on the Rise wants to establish itself all over Canada, with the strong sense that sports, notably basketball, can translate to life lessons and provide kids the best opportunities in the future—on and off the court.